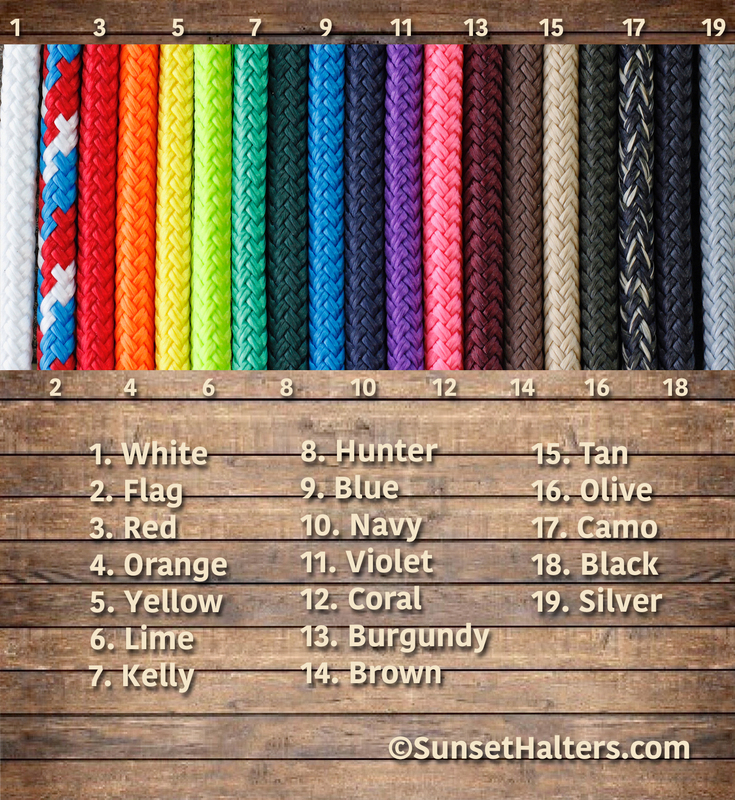 Made from 1/4" yacht braid rope, which is very soft, durable, long wearing, and snag resistant rope. Because of it's softness, it's great for horses who gall easily. 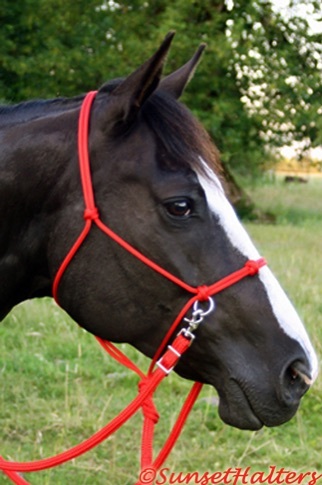 Each sidepull includes extra noseband knots, and stainless steel rings. The tie offs are finished with a lover's knot- which is the same knot used throughout the sidepull. Sidepull rope available in colors shown to your left. Reins and lead rope sold separately. Choose from 7 sizes, starting at $21.